UPSEE 2018 – AKTU has released Counselling Result for Round 3 of UPSEE Counselling online. Candidates can get every information related to the counselling dates and seat matrix on this page. 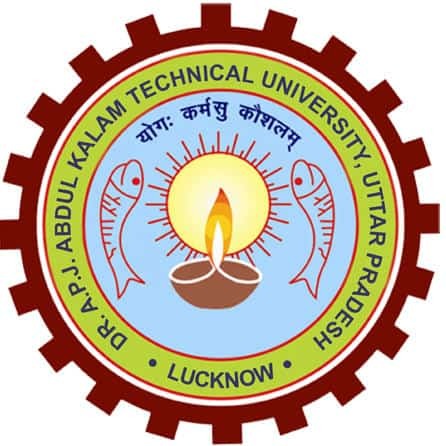 On 30 May 2018, Abdul Kalam Technical University (AKTU) also announced UPSEE result 2018. The entrance test was held for admission to the Engineering, Architecture, Pharmacy and Management programmes of various participating institutes. The UPSEE result 2018 provides the rank and total marks obtained by the candidates in the entrance test. On accessing the UPSEE 2018 scorecard, candidates are advised to download and keep it safe for future reference. A total of 1,56,452 candidates appeared for the test out of which only 1,43,551 qualified the test. Go through this page for complete details on UPSEE 2018, result, cutoff, counselling rounds. Latest Update - UPSEE Counselling Result for Round 3 declared. The 20% of seats based on JEE Main Merit: State Government of Uttar Pradesh has also authorised 20% of total approved seats available in all affiliated Private Institutions only to be filled by JEE Main 2018 merit for admission to Technology/Architecture courses. All India Merit candidates will fill the remaining 10% seats without reservation subject to eligibility conditions. Age Limit: There is no age limit set by the exam authorities to appear in UPSEE 2018. Academic Qualification: Refer to this table to see the compulsory and optional subjects that the student must have passed or will be appearing in Class 12 or equivalent. The UPSEE is an entrance exam for admission into engineering, architecture, pharmacy, management courses. The merit requirement is laid down by All India Council of Technical Education, New Delhi for various programmes which are updated from time to time. However, the eligibility criteria are given below is based on last year. The candidates who have appeared or are to appear in the qualifying exam and their results are also awaited eligible for this exam. Candidate with three years Diploma in Architecture (10+3) recognised by Central / State Govt., is also eligible for the first-year admission to B. Arch. Provided the candidate has qualified the Diploma examination securing minimum 50% marks in aggregate without grace. For B.Tech. (Agriculture Engineering): The candidates who are eligible for the B.Tech. Courses are also eligible for B.Tech. (Agriculture Engineering). If a candidate is not eligible for UPSEE 2018 and he appears in the entrance exam, then he/she will not be given admission in any of the colleges of A.P.J. Abdul Kalam University. For All Other Categories: Minimum 45% marks.The candidates who have appeared or are to appear in the qualifying exam and their results are also awaited eligible for UPSEE 2018. In the case of board/ university giving grades in the qualifying exam, a percentage equivalence certificate should be submitted at the time of UPTU counselling. All candidates who are eligible for B.Tech are also eligible for B.Tech Agriculture Engineering Course. 15% seats in all private institutes will be filled by NRI Quota and candidates claiming seats under this quota need not appear in UPSEE 2018. The students should have passed the required qualifying examination and should include the subject (Physics, Chemistry and Mathematics) from an Institution that is located outside India. The exam should be considered equivalent to Class 12 and should be recognised by AIU. or passed (GCE) examination with Physics, Chemistry and Higher Mathematics (A) from London / Cambridge / Sri Lanka. The candidates should also have appeared in SAT-II examination with Mathematics level II C, Physics and Chemistry. UPSEE Eligibility Criteria for Foreign Nationals, Persons of Indian Origin, Children of Indian Workers in Gulf Countries. Candidates applying under this category will have to submit a copy of passport or any other equivalent evidence in support of their Nationality. Must have passed the qualifying examination with Physics, Chemistry and Mathematics, which is considered equivalent to (10+2) examination by the Association of Indian Universities. The candidates seeking admission to the university are suggested to fill the application form. The last date to fill the form was 30 March 2018. Hence, the candidates are suggested to complete the registration on or before the due date. It is also to be noticed by the candidates that the application form can only be filled through online mode. There is no offline procedure. UPSEE Online Application form consists of following three simple steps. After filling up the application form, the candidates are suggested to check whether the details filled by them are correct in all aspect. The candidates after scrutiny should submit their application form. The candidates after submitting the application form need to keep at least two printouts of the application form with them for future reference. 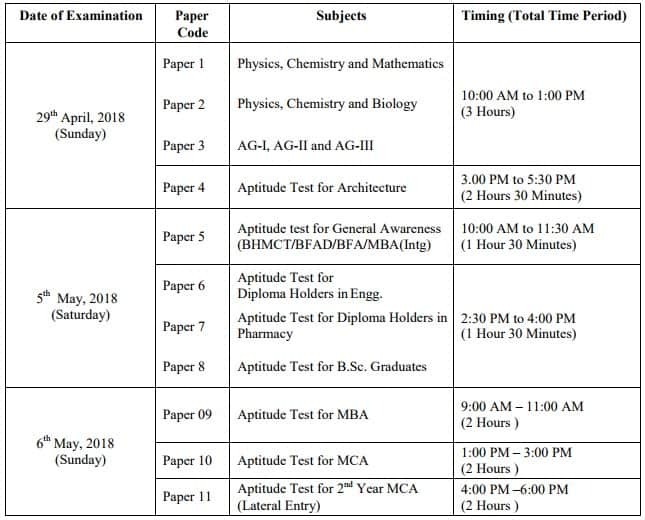 UPSEE Admit Card was be available to download from 20 April 2018 onwards until the Exam Date. The candidates who have submitted their application form will be able to download the admit card. Candidates need to know that UPSEE Admit Card will not be dispatched through the post to the candidates, so no correspondence in this regard will be considered. Admit Card is an important document to be carried at the exam centre. In order to complete the application process, the candidates are required to pay the application fee. The amount of fee is different as per the category. Hence, the candidates are suggested to make the payment to the category they belong to. UPSEE Result was declared on 30 May 2018. Post declaration of result, the candidates will also be able to get his/ her answer sheets against the payment of Rs.5000 per paper. The response sheet can be obtained within seven days of the declaration of the result. Eligible NRI candidates can get direct admission on 5% seats of the total seats in Govt. / Govt. aided and Private Institutions having approval from AICTE for NRI seats on merit, subject to the latest instructions of Govt. of U.P. Such candidates need not appear in need not appear in UPSEE 2018. The NRI candidates opting for B.Arch. have to appear in an Aptitude Test which will be conducted on the day of counselling. The details regarding Admission of NRI candidates will be released by the by the University in May 2018. UPSEE 2018 counselling has started from 25 June 2018. Candidates are required to attend counselling according to their UPSEE rank obtained in UPSEE 2018 examination. The allotment of the seat through counselling will be carried out strictly as per the UPSEE merit of the candidate, subject to the preference given for the seats and availability of seat in the category. The counselling fee paid after the allotment of seat will not be refunded in any case. Grade Equivalence Certificate: In the case of boards which provide only grades and not marks, the candidates should obtain the certificate of equivalence of the scores to the grade allotted from their respective board at the time of counselling. The UPSEE qualified candidates will fill 65% of the total B.Tech/BArch seats and 85% seats in all the other remaining courses at all Private Institutions. However, the percentage of the reservation of the seats for the different category is given below. Reserved Seats for NRI through Management Quota: Uttar Pradesh Govt. has permitted 15% of total approved seats available in Private Institutions to be filled by the NRI candidates under Management quota. The vacant seats in NRI quota will be filled up by eligible son/daughter / real brother /real sister of NRIs. UPSEE question papers for undergraduate admissions (except UPSEE Paper 4) will be in both Hindi and English languages. In all cases, the Standard English numerals will be used.For admission into B.Tech (Bio-Technology), the students can either appear in Paper 1 or Paper 2. The candidates who have qualified three years Diploma in Agriculture Engineering are eligible for admission to the Second Year of Agriculture Engg. Branch only. They need to appear in Paper 3. UPSEE (OMR based) will be conducted for four papers and the questions will be Multiple Type Questions. However, the Drawing (Part B of UPSEE Paper 4) will not be objective type. Answers to UPSEE Question Paper are to be marked using (Black/ Blue) ballpoint pen only. The UPSEE Question Paper Pattern for the B.Tech and B.Arch course is given below. The candidates can check the question paper pattern and the number of questions asked in each specialization. The Dr APJ Abdul Kalam Technical University. Uttar Pradesh will give a facility of mock test to the candidates. The candidates with the help of mock tests can judge their revision and can work over some of the topics which they have not mastered. The mock tests encourage them to focus future learning in weak areas. It can tell which topics have been successfully learned and which areas need more work. When the mock test for the UPSEE will start, the link for the same will be available here. The candidates are suggested to keep themselves updated on this page. All Institutions affiliated to Gautam Budh Technical University & Mahamaya Technical University admit students through centralized counselling of Dr. A.P.J. Abdul Kalam University. The papers from 6 to 11 fall under the other courses which include lateral entry and the postgraduate courses. The candidates can find the details of the courses along with the mentioning of the papers for each course by the table. There are 49 test centres for the UPSEE OMR Based Test whereas, for the UPSEE Computer Based Test, there are 17 test centres. It is a state level exam that is the reason most of the exam centres are located within Uttar Pradesh. As some seats are also available for non-domicile students so the UPSEE will be conducted in cities outside Uttar Pradesh. The link to check the complete list of test centres are given below. The candidates are suggested to visit the link and check out the test centres.